While you are checking your canola fields for potential clubroot, blackleg or sclerotinia symptoms, also keep your eyes open for any symptoms due to verticillium stripe. This disease has already been found on some earlier fields in Manitoba this year, but is easiest to diagnose at harvest time. Much like other diseases, symptoms for this one include leaf chlorosis, early ripening, stunting and dying tissue as the disease progresses. 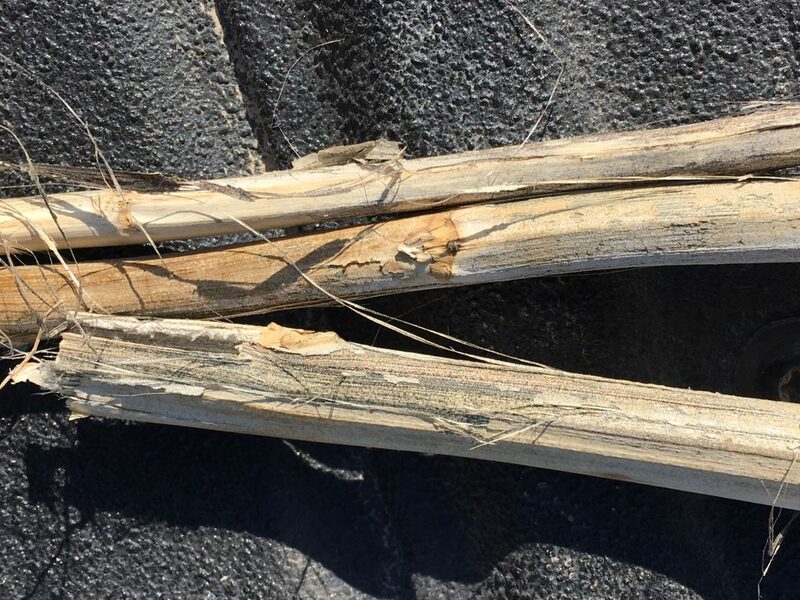 Key features to look for, (close to harvest) when diagnosing, are peeling/shredding of the (stalk) epidermis (similar to sclerotinia) without complete shattering of the stalk (unlike sclerotinia). It also doesn’t contain any sclerotia inside the stem, while sclerotinia can. As the epidermis shreds it will reveal tiny black specks, called microsclerotia, that resemble black pepper (similar in size to pycnidia), but won’t have blackened stem cross-sections, as blackleg does. Prior to harvest some yellow or grey streaking will appear on the stems as well. The disease that we see in Canada is caused by the pathogen Verticillium longisporum. Read more about this disease and its lifecycle in the Canola Encyclopedia’s verticillium stripe article.